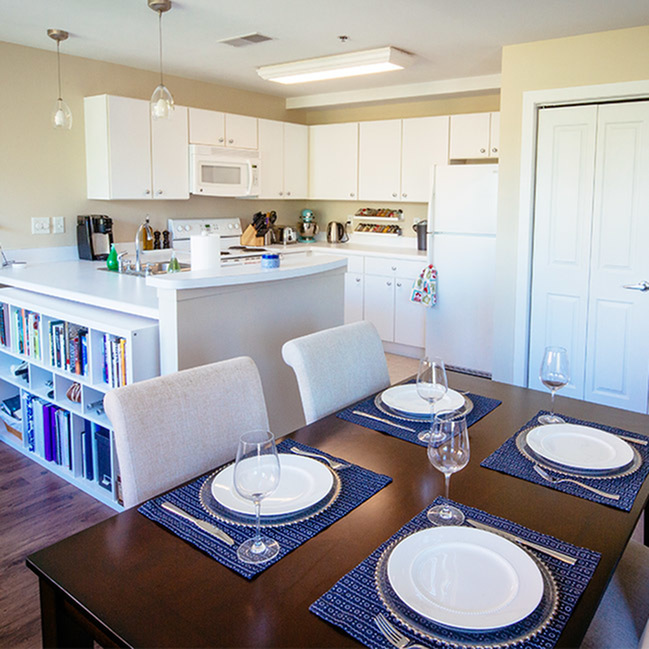 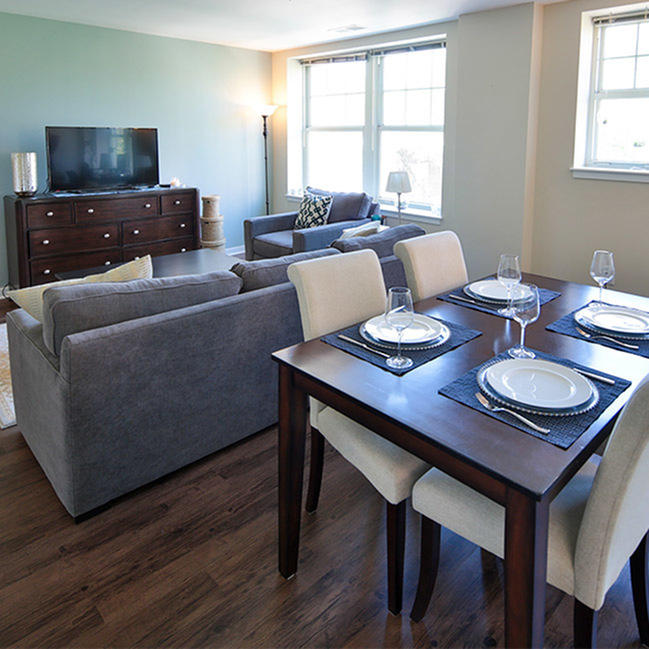 The Pine is a two bedroom, two bathroom apartment home with a north facing view overlooking West Pine. 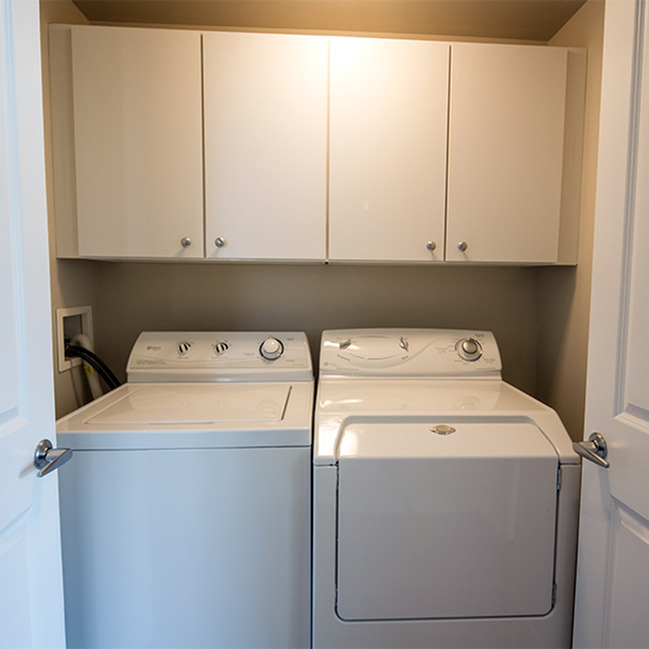 The 1,150 square feet home has an open kitchen and living room with plenty of storage, including an extra closet. 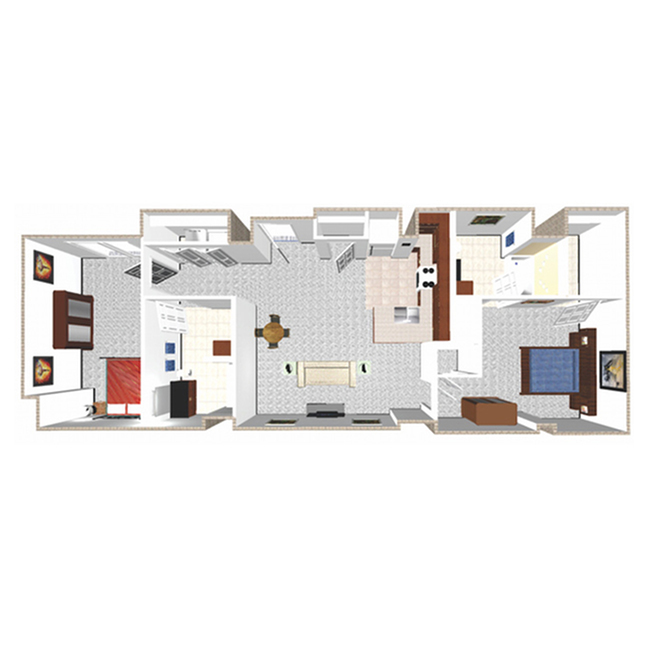 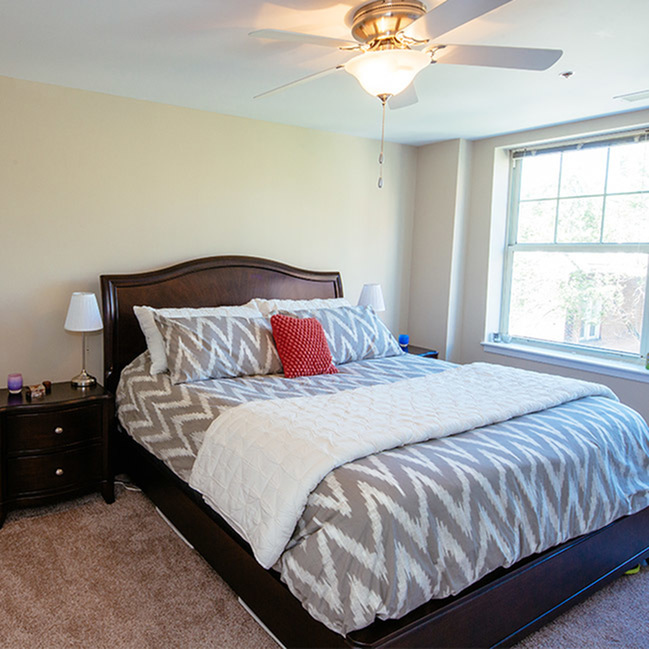 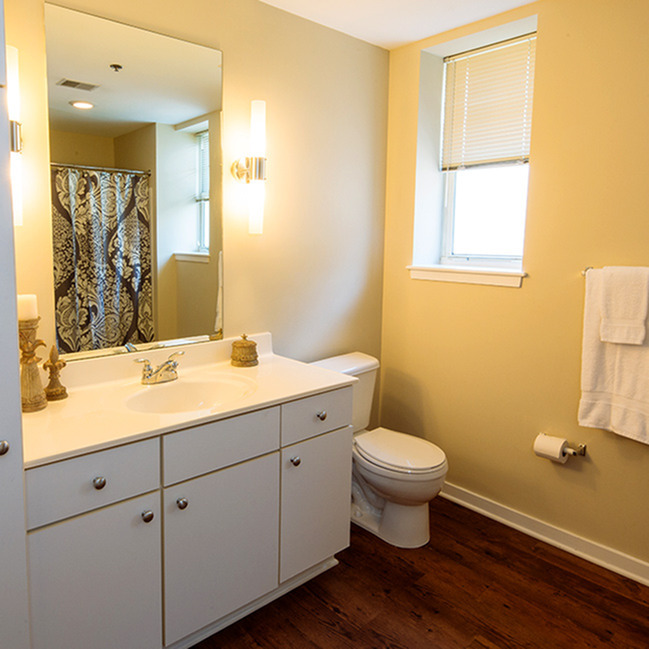 Both bedrooms are very spacious, and the master bedroom includes an oversized walk-in closet.